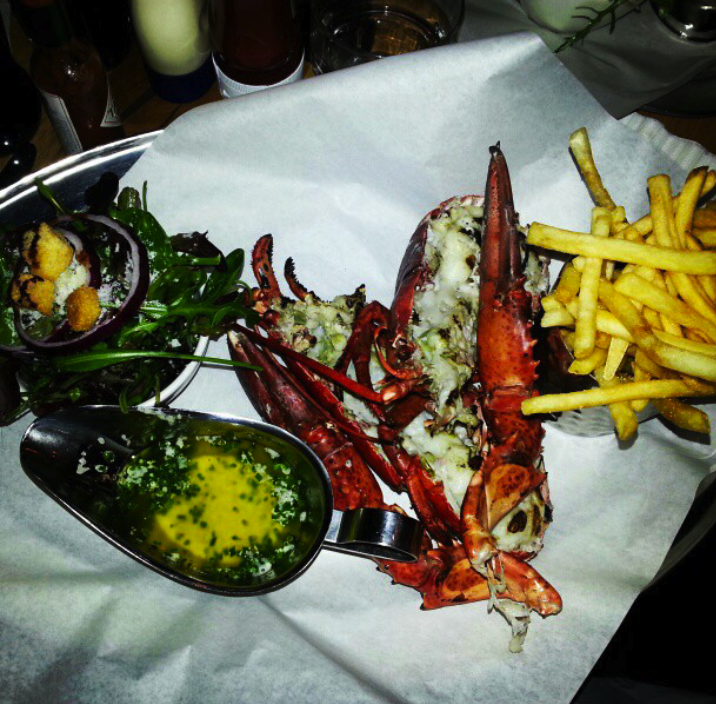 Burger & Lobster… firstly, THIS PLACE IS NOT HALAL but Salt here likes her lobster. What can we say about you? Well, we can’t really have the burger but the lobster is quite nice, not to mention quite fun. The little aprons they give you are cute and it’s definitely an instagram-able place! Now if this is your first time, I would recommend the first option simply because of the novelty of eating lobster out of the shell. But if you’ve been here before, go for the brioche. The bread is divine and it saves you a lot of messiness and to be honest who is bothered when you are just plain hungry! The salad dressings on both occasions was different so I’m not too sure what it is now but I liked it anyway. The lobster is small-ish but do not be fooled, you will be full, well I was. If it was Sheikhy here, he’d probably have just got started.